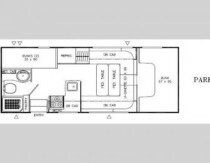 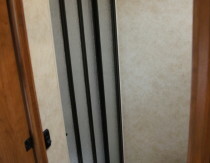 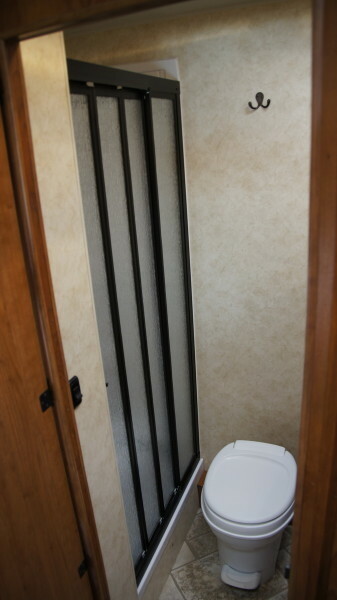 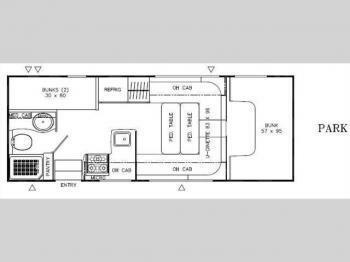 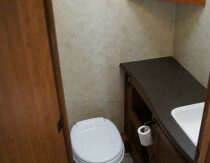 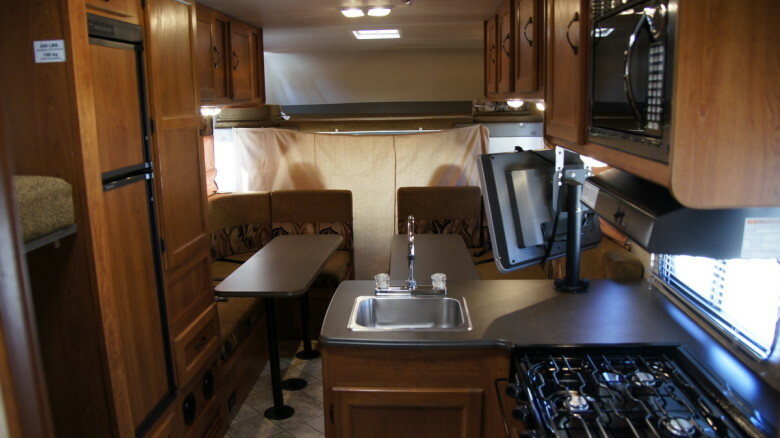 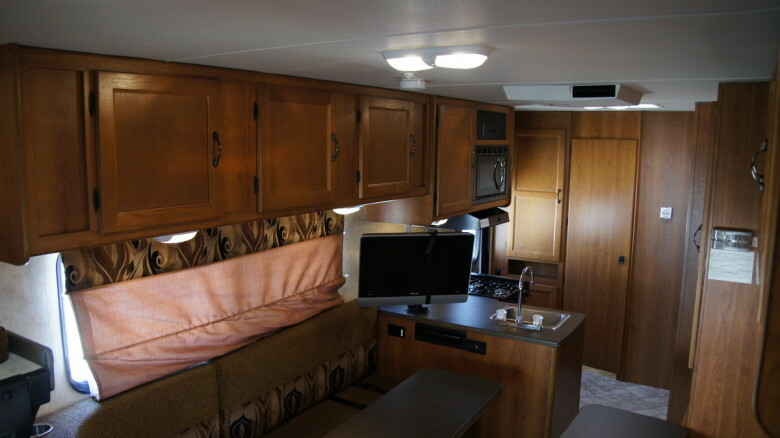 If you looking for a small RV with plenty of sleeping space, than this is the RV for you!. 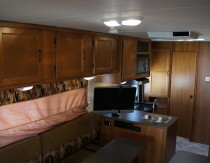 This coach has a full kitchen, full bathroom, 2 bunk beds and a nice flat screen TV for your entertainment. 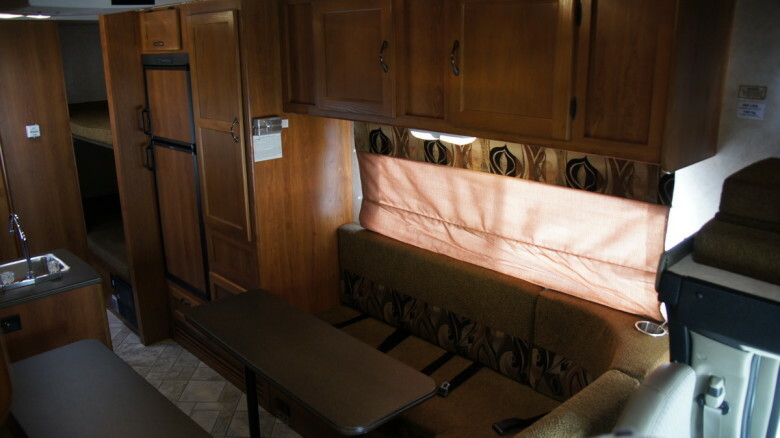 The dinette area that can turn into a queen bed or you want you can convert it to 2 double beds, or you can leave it as a living room area. 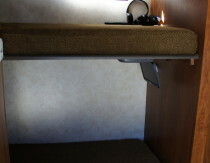 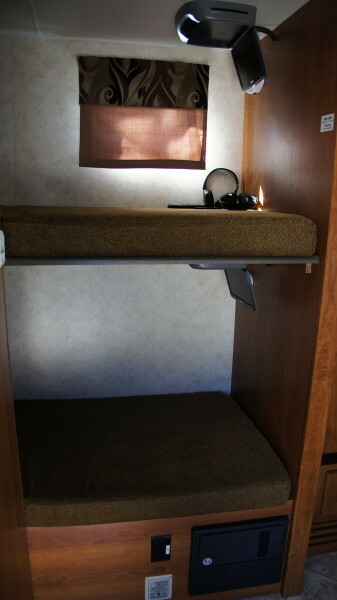 In addition, you also have a queen bed over the cab that will sleep 2 adults comfortably. 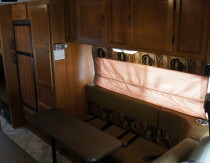 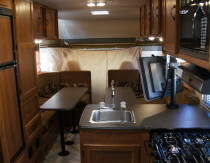 The RV does come with an automatic awning and an outdoor stereo system. 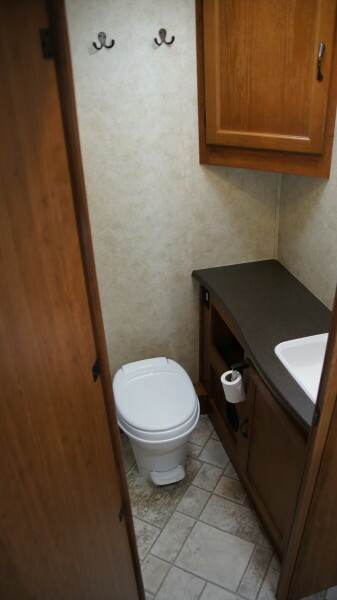 So don’t wait any longer book it now! 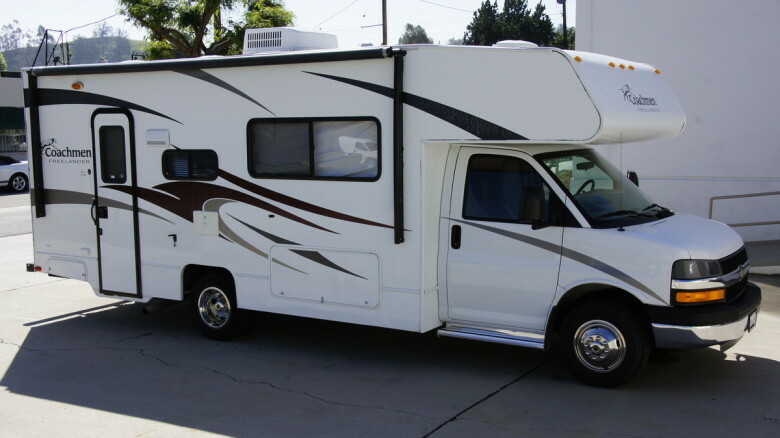 NO SUNDAY PICK UPS OR DROP OFFS or Major Holidays. 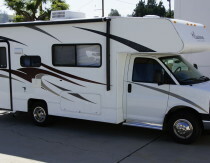 Please contact our office for any trips of less then 3 nights.